Back in the 70's and 80’s I survived an entire stint of public education from K to 12 and during those sessions of exposure to the best and worst of middle and lower class America we learned that culture was a way of life. You gotta love the simplicity of that statement but what is a “way” and what is a ”life”? Nowadays the definition has been altered to to mean “the arts and other manifestations of human intellectual achievement regarded collectively”. I will use a little bit of each to define or explain cigar culture. Firstly let's dispense with the obvious; how can a culture be associated with a tubular shaped bundle of tobacco that is smoked but not inhaled? To the unsharpened eye of a nonsmoker this statement may sway you to dismiss the entire idea of a culture but there is no much more below the surface. The tobacco in a cigar is a product of a very specific environment, terroir, in that the climate, sun exposure, composition of the soil, elevation, minerals in the water, humidity, and wind all contribute to the characteristics of the tobacco’s flavor and body. In addition, considering all the aforementioned aspects of the environment one also has to recognise that a cigar consists of a wrapper, binder, and filler that may or may not come from multiple regions. Each region represents an array of characteristics that leave an indelible footprint. You would be remiss to overlook that each region has different people, blenders, and farmers. They all have different processes, levels of expertise, sophistication, and tradition. Blenders enter the fray with an amorphous vision of a flavor profile, intensity, and body adding even more complexity. 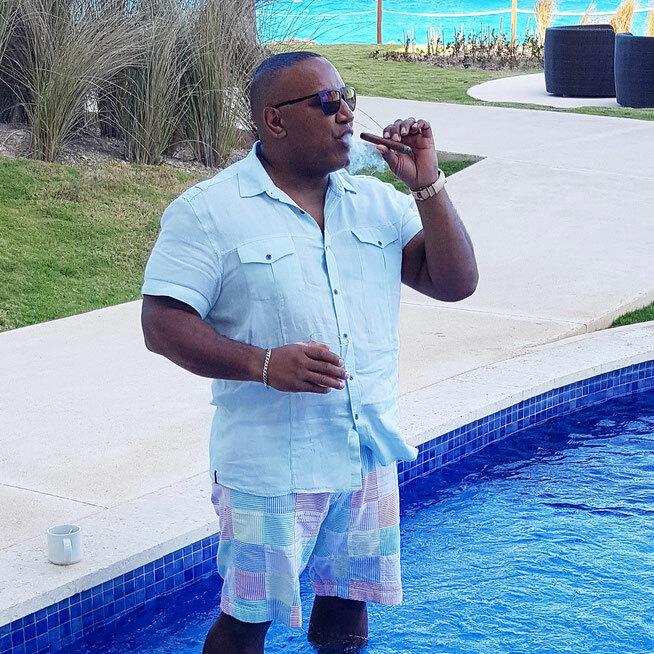 They strive for uniqueness and more importantly balance to make sure that each component of the cigar contributes to a synergistic outcome. Lastly, cigar rollers, which I call artists, enter the equation. Rollers are the most significant contributors to the overall experience because no matter how well the farmer and blender perform their respective duties the roller can construct a cigar that’s too tight or too loose, The cigar may burn too fast or slow or worst it could burn uneven which will ruin the coalescence of the wrapper, binder, and filler. Any given cigar will be constructed in different vitolas that will alter the flavor of the cigar based on how the components are featured (e.g. a smaller diameter showcases more wrapper influence and a larger diameter showcases more filler and binder in the flavor profile). Either one of these aspects can produce defects that will severely impact the cigar smoking experience. It's absolutely mind boggling how many different tangible and intangible inputs produce the end product, the cigar. The maturity of this process took hundreds of years to achieve starting with Taino, native Cubans, who later encountered European explorers. Once a cigar is made it has to be smoked. A completely new set of processes, facilities, and market forces take hold. A cigar has to be stored at the proper humidity and temperature, it has to be cut or punched with a utensil of both artistic sophistication and great specificity. Then a smoker must be provided with an environment that will not affect how the cigar burns. The chairs have to be comfortable and designed not to absorb the cumulative aroma of cigar smoke, the ventilation system has to bring in new air and filter the air from multiple cigar smokers out of the lounge, ashtrays have to rotated so as not to clutter the scene and ruin the cigar smoking experience. The lighting, furniture, and ambience of the cigar lounge all contribute to the experience. I say all this to underline “intellectual achievement” and complexity of cigar smoking. The multitude of information published on the subject is ample evidence of how much its appreciated. It's a culture. Well done Billie, absolutely spot on. I hope this gets circulated around to show people just how passionate you are about this wonderful industry that we all love. Cheers my friend. Very nice read. Well done mate.